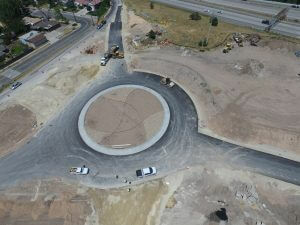 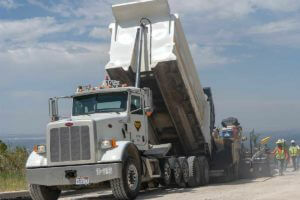 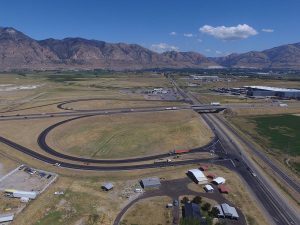 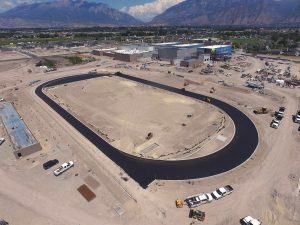 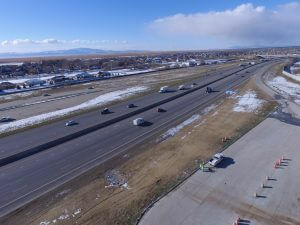 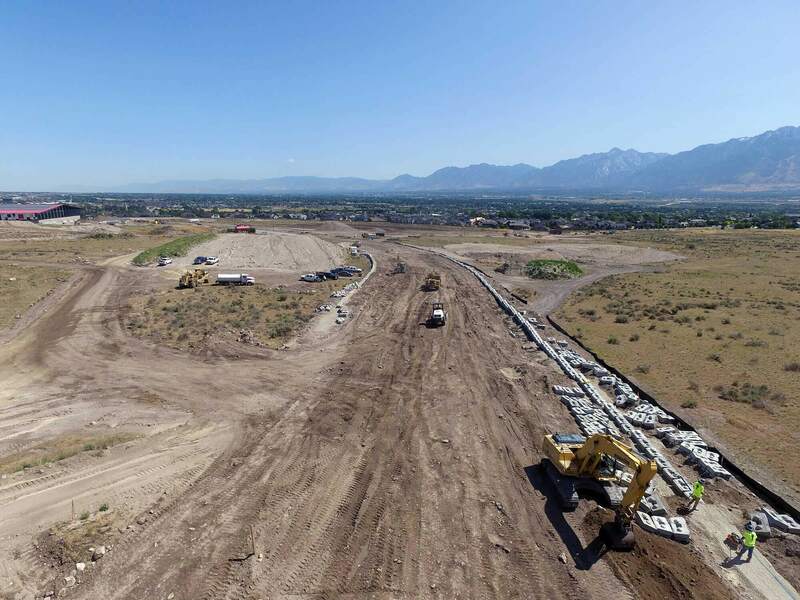 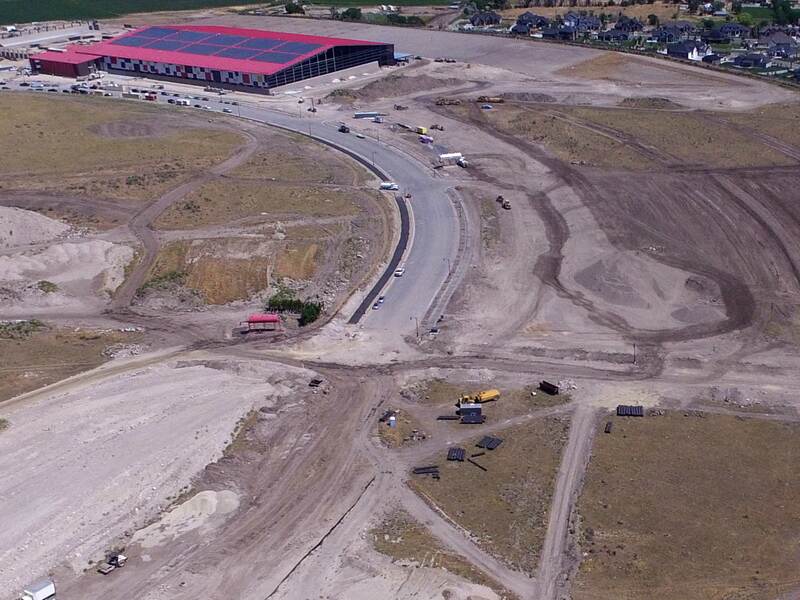 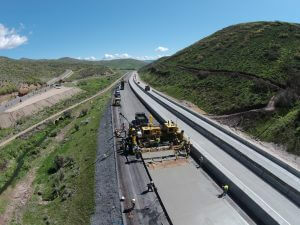 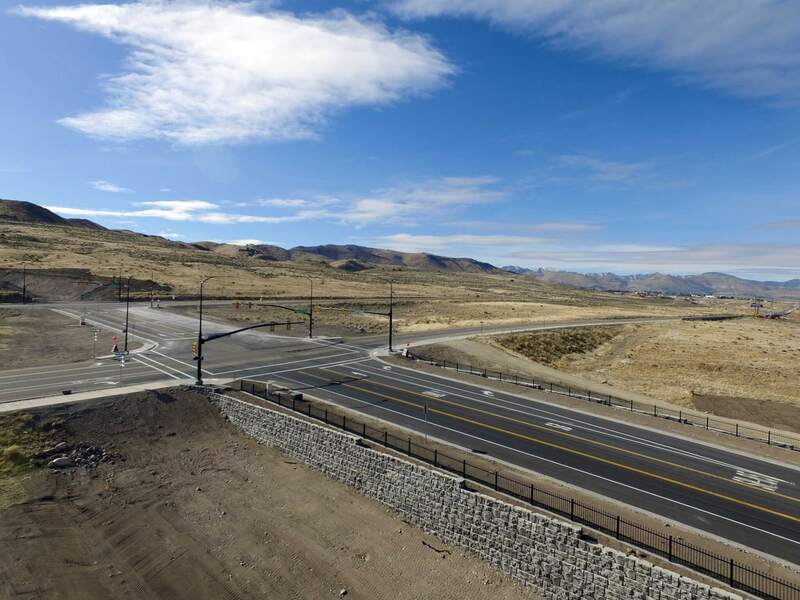 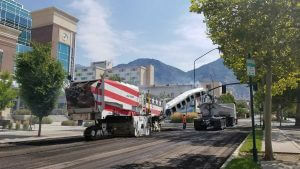 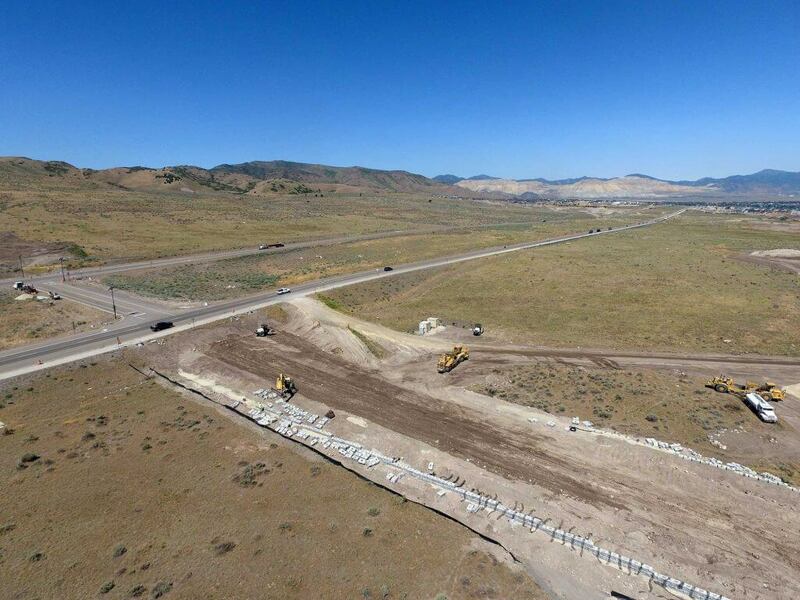 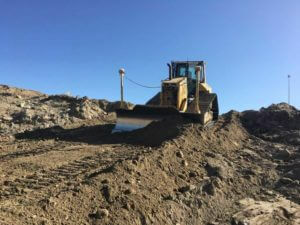 Geneva Rock working under Herriman City had to move 45,000 cubic yards of site fill in order to connect the new Academy Parkway to the existing Mountain View Corridor. 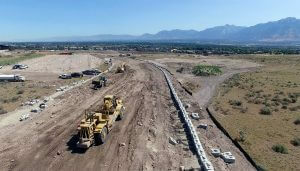 In order to connect Academy Parkway to the Mountain view corridor, our team had to build 17,000 square feet of modular block retaining wall. 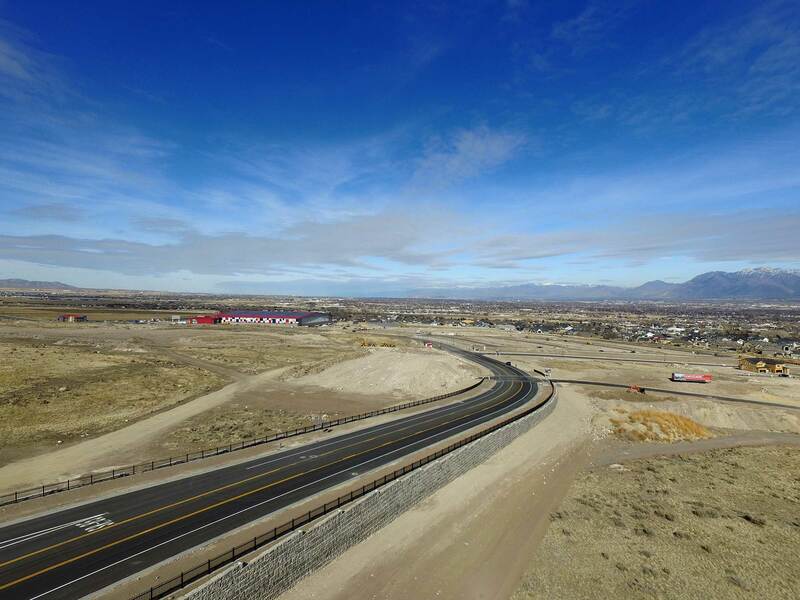 The retaining wall was a contractor design/build project and went through many design changes in order to satisfy the aesthetic requirements for the stakeholders and city. 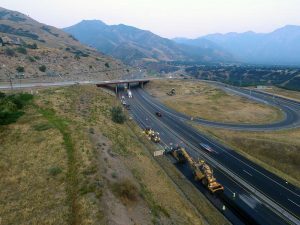 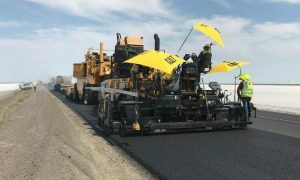 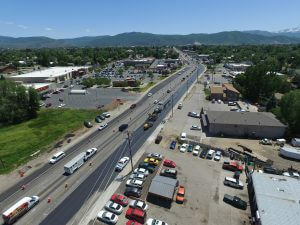 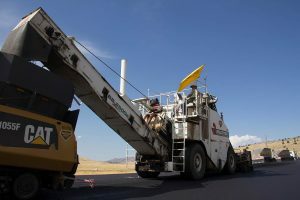 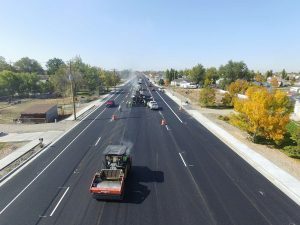 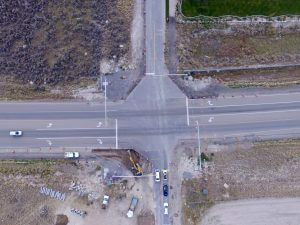 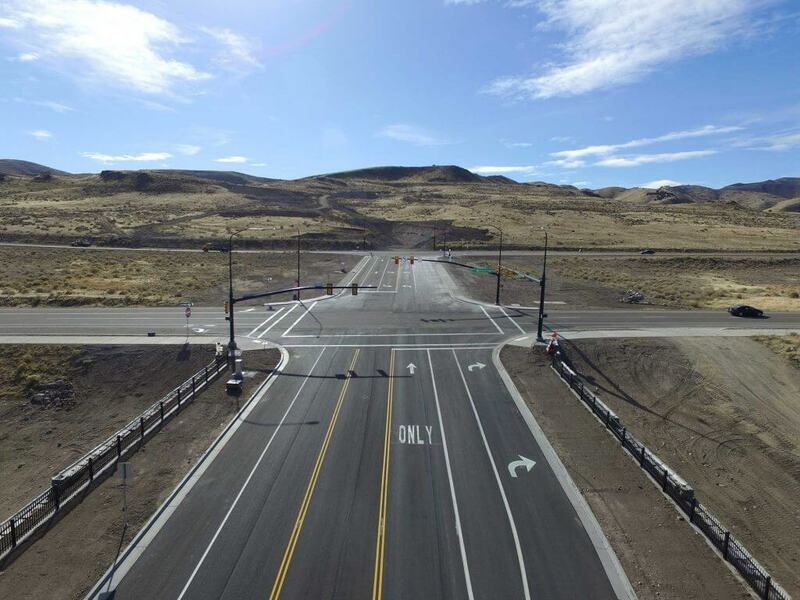 The project also required the installation of 3,000 linear feet of 24” ductile iron pipe, 2,000 linear feet of 24” RCP storm drain and our asphalt team paved 3,000 tons of asphalt to complete the road. For safety and safe access, a new signalized intersection off Mountain View Corridor was created.